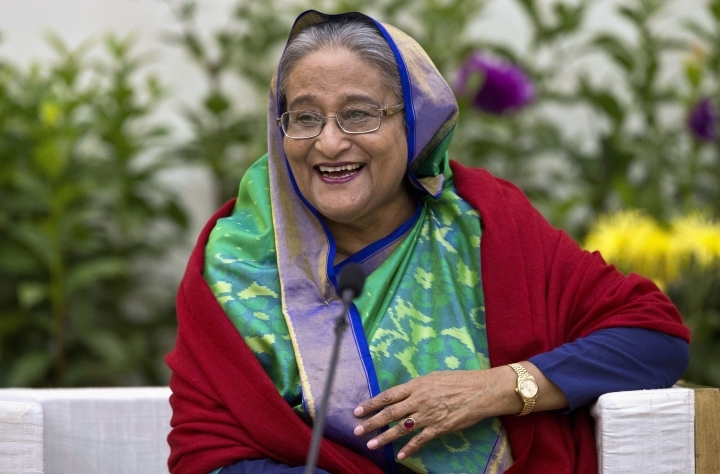 DHAKA, Bangladesh — Congratulatory messages are flowing to Bangladesh Prime Minister-elect Sheikh Hasina, ensuring she will withstand calls to investigate allegations of widespread serious irregularities in Sunday's election that was dominated by her coalition. The country earns about $30 billion a year from exports of its cheap garment products, mainly to the United States and European Union, and is the world's second-largest garment producer after China. China is Bangladesh's largest import source, while India is the second largest. "So we import from them and then we export to Western markets," M. Humayun Kabir, a former Bangladeshi ambassador to Washington and an analyst in international affairs, said in an interview. Bangladesh has other ties to the West beyond trade. "Value-wise we believe in democracy. So, we are also value-wise connected to them," Kabir said. European nations and the U.S. are also home to a large Bangladeshi diaspora. "These are people living in those countries becoming or contributing to those societies. So, this ... is how we are connected to the Western countries," he said. In a statement issued after Sunday's election, the U.S. expressed concern about "credible reports of harassment, intimidation, and violence" but said it wanted continue to work with Bangladesh. "The United States remains deeply invested in the future of Bangladesh and its democratic development," it said. "Bangladesh's impressive record of economic development and respect for democracy and human rights are mutually reinforcing, and we look forward to continue working with the ruling government and opposition toward advancing these interrelated goals." "Bangladesh is a good story in terms of development and progress," Kabir said. And her solid election victory shows that Bangladesh's economic development has the political support of voters, he said. "So that story is now resonating well on the international community and that's why we are seeing (so many countries) are congratulating the prime minister for the outstanding performance in the election," he said. Kabir said the international community wants to see Bangladesh as a stable nation. "We need to be more competitive for example, we need to do reforms in our labor sector for example, we need to also develop our infrastructure for example, we need to update our regulatory framework for example, because international investors always look at those issues, so now they're looking at Bangladesh from a positive frame," he said. More than a dozen people were killed in election-related violence Sunday, and the election campaign was dogged by allegations of the arrests and jailing of thousands of Hasina's opponents. 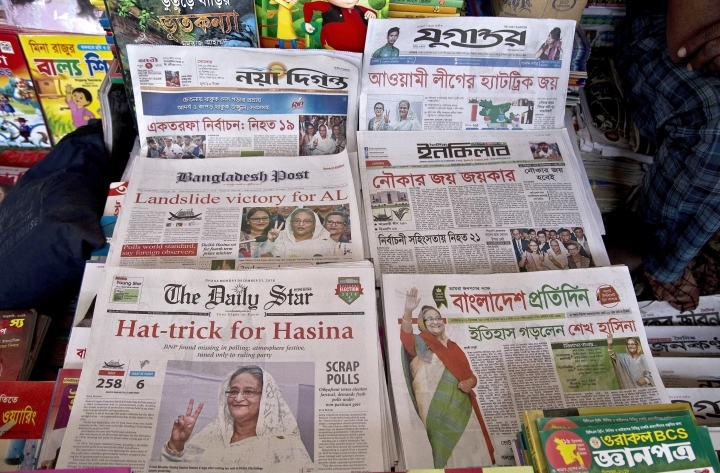 The most prominent of those jailed is Hasina's archrival, former Prime Minister Khaleda Zia, who was deemed ineligible to run for office because of a corruption case her supporters say was politically motivated. "There are credible reports of fatalities and numerous injuries on polling day alone. There are worrying indications that reprisals have continued to take place, notably against the political opposition, including physical attacks and ill-treatment, arbitrary arrests, harassment, disappearances and filing of criminal cases. Reports suggest that violent attacks and intimidation, including against minorities, have been disproportionately carried out by ruling party activists, at times with complicity or involvement of law enforcement officers," Shamdasani said. "International donors, the United Nations and friends of Bangladesh should remember that elections are about the rights of voters, not those in power," Brad Adams, HRW's Asia director, said in a statement. In Zia's absence, opposition parties formed a coalition led by Kamal Hossain, a former member of Hasina's Awami League who was foreign minister under Hasina's father, Sheikh Mujibur Rahman, Bangladesh's founding leader. Hossain's small party, Gono Forum, does not have much popular support. Hasina and Zia, on the other hand, have much larger support bases and attract hundreds of thousands of supporters to their rallies. She dismissed questions about the fairness of the vote and said it was a "very peaceful election."